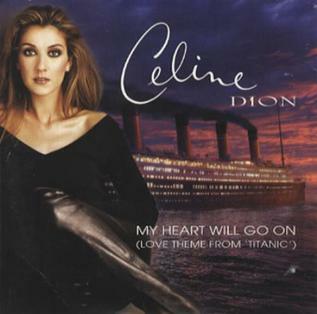 Celine Dion’s My Heart Will Go On (1997) is the song used by Carl Wilson to frame an in-depth discussion of musical taste in his 2007 book ‘Celine Dion’s Let’s Talk About Love’. Here’s a playlist of some of the music cited (and implicitly cited) in the book. Here’s a few relevant citations, and a video from Steve Almond providing his own take on the discussion of taste and fandom. Bourdieu, Pierre. “Cultural Reproduction and Social Reproduction.” In Knowledge, Education, and Cultural Change: Papers in the Sociology of Education, edited by Richard K. Brown, 71–84. London: Tavistock, 1973. Frith, Simon. Performing Rites: On the Value of Popular Music, 1996. Salganik, Matthew J., Peter Sheridan Dodds, and Duncan J. Watts. “Experimental Study of Inequality and Unpredictability in an Artificial Cultural Market.” Science 311, no. 5762 (2006): 854–56. Washburne, Christopher, and Maiken Derno, eds. Bad Music: The Music We Love to Hate. New York: Routledge, 2004.